This week marks the first European Tour event of 2019, which also means the first event for many of its competitors under golf's new rules. Among those rules changes taking place at this week's Abu Dhabi HSBC Championship is an important addition involving spike marks, which attracted the attention of several pros in the lead-up to the event. But it was one, Gonzalo Fernandez-Castano, who took the opportunity to call out another European for his checkered spike mark past. "First competitive round of the year on @EuropeanTour with the new rules on effect," Fernandez-Castano wrote on Twitter after his opening-round 72. "Tapping down spikemarks felt so weird, it will take some time to get used to it - Unless you are Simon Dyson and you have been doing it for years." https://twitter.com/gfcgolf/status/1085533400214237185 The Spaniard's jab at Dyson came in reference to a 2013 incident involving spike marks. 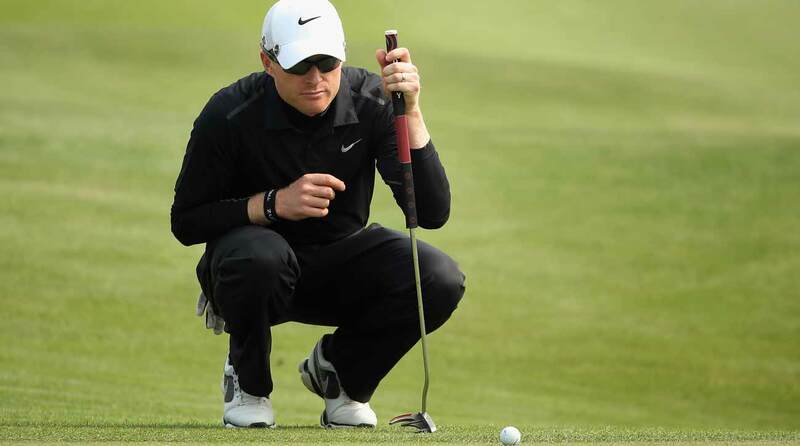 At the BMW Masters in Shanghai, Dyson, the tournament co-leader, was caught on video using his ball to press down a spike mark on the green in direct line of his short par putt. The evidence was so damning that Dyson was disqualified from the event, which Fernandez-Castano went on to win. In the aftermath, Dyson was found guilty of a "serious breach" of the tour's code of behavior at a hearing. He was fined $49,000 and suspended for two months, though the suspension was deferred for an 18-month probationary period. Dyson released a statement denying that he was deliberately attempting to break the rules. While it's not clear if Fernandez-Castano's Wednesday jab was lighthearted, it's not the first time he has tweeted about Dyson. In 2014, Fernandez-Castano was asked about Dyson during a Q&A on Twitter. "What do you like most about Simon Dyson?" Gonzalo-Fernandez gave a short reply: "Used to like him, not anymore." https://twitter.com/gfcgolf/status/511176065814122496 It's also clear there's more to the story. One fan asked why Dyson wasn't tagged in the latest tweet. "I would if I could. He blocked me long ago," Fernandez-Castano said. https://twitter.com/gfcgolf/status/1085549939298627589 Dyson, 41, spent most of his 2018 season playing the Challenge tour, and missed cuts in both European Tour events he played. His last European Tour win came in 2011. He would eventually respond to Fernandez-Castaño on Twitter in a not-so-kind way. You can read more about the spike mark rule here, and a complete breakdown of the new rules here.